An astrology birth chart (also called a natal chart) and interpretation shows someone's unique personality within a few hours. Whether for yourself or someone else, for many people they offer the first glimpse of the power of real astrology. They also make a unique and thought provoking gift, especially for those skeptical of whether astrology works! 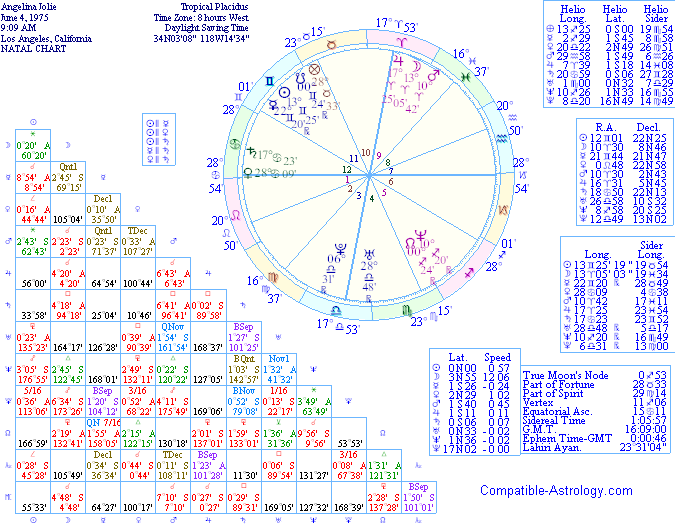 So what is an astrology birth chart? A birth chart (natal chart) is a written representation of the planets at the exact time and location of a persons birth, literally putting that person at the center of the solar system, and calculating where everything else is. Each natal chart is therefore as unique as a fingerprint. There are many types and styles of natal chart, however the general principle and goal is the same. Computers now make creating a birth chart fast and easy. The interpretation of the chart however takes time, skill and experience, and the quality and accuracy of interpretations can vary enormously. What can a birth chart tell you? A precise birth time is required for some elements of the interpretation, so it's worth noting that reputable astrologers will typically offer a reduced size report if your birth time is unknown. This is largely the same report, but with some time-sensitive sections removed. It allows you to learn a lot, without adding potentially inaccurate information due to an imprecise birth time etc. I offer birth charts and interpretations for one person in my Understand Yourself packages, and for couples together as part of my Compatibility Reports. If you have any questions on what is involved please feel free to Contact Me at any time. I'm a full time astrologer and always happy to help.